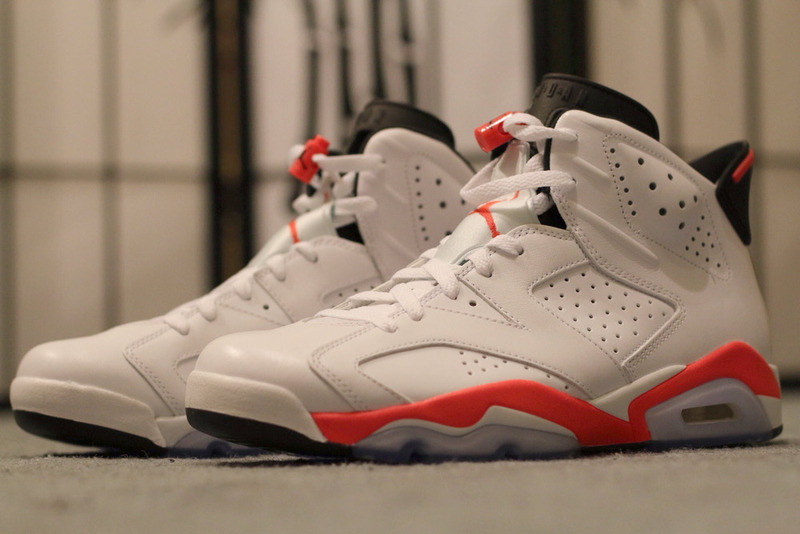 Originally introduced back in 1991, the 'White/Infrared' Air Jordan VI will be making a return next year as part of the model's 23rd anniversary celebration. 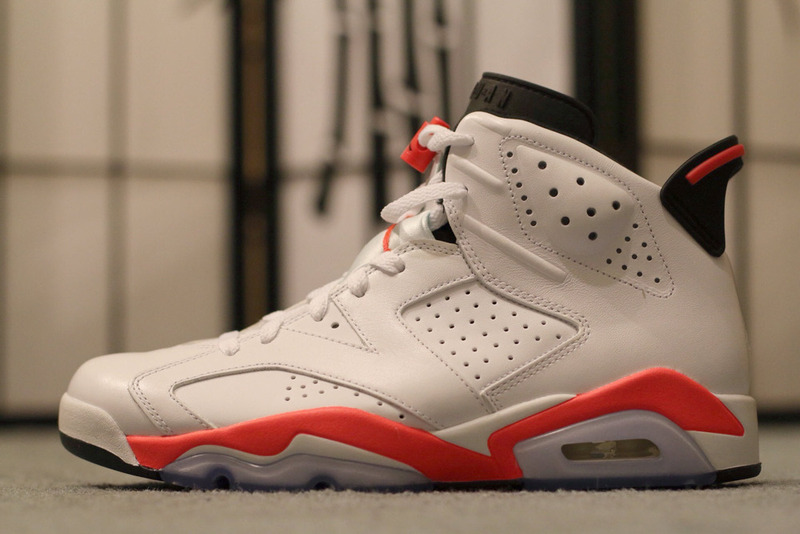 One of the most iconic Air Jordan models ever for several reasons, the Tinker Hatfield-designed Air Jordan VI will make its return in original form with a full leather build, lace locks, and a icy outsole below. 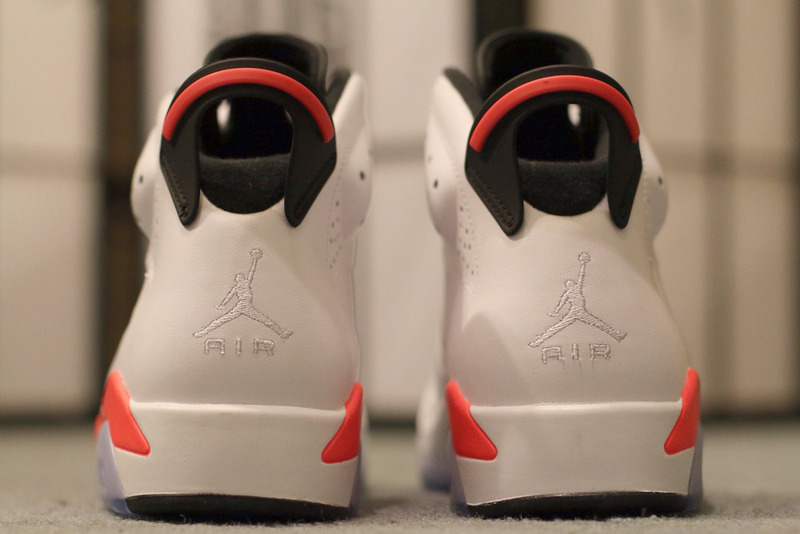 The white-based AJ VI is topped with a black tongue, and energizing infrared accents over the tongue Jumpman, lacelocks and midsole below. 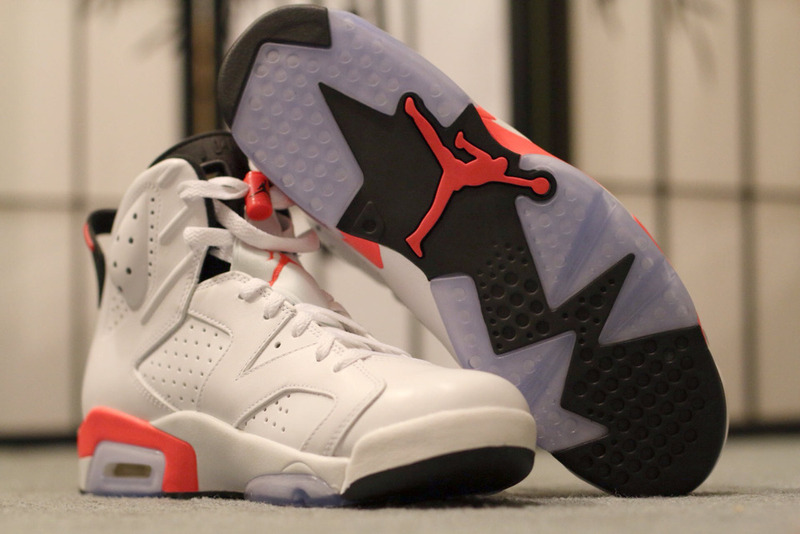 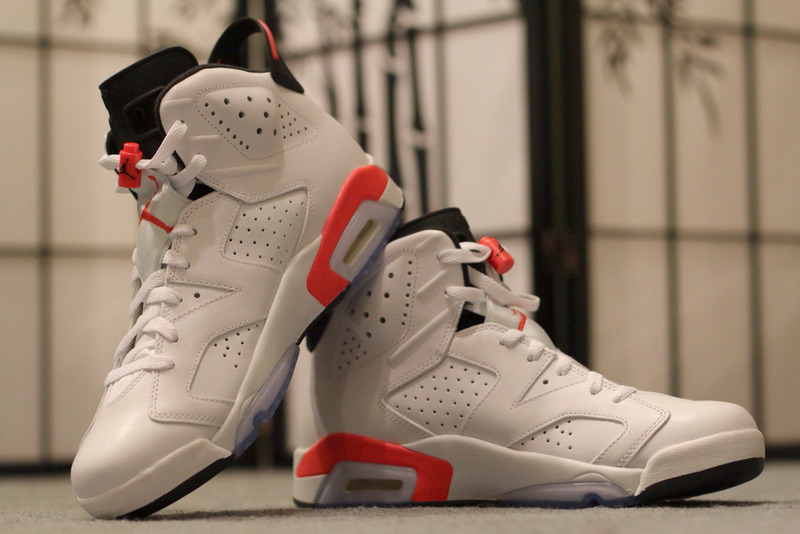 The White/Infrared Air Jordan 6 Retro is set to release February 15th, 2014 at select Jordan Brand accounts nationwide.